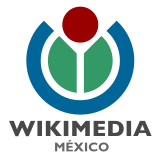 Wikipedia Education Program follow-up meeting with Iztapalapa Technologic Institute. Broadcasting of the radio program Möebius: "Star wars". 3rd workshop for ArtAndFeminism at Contemporary Art Museum of the University (MUAC). 4th workshop for ArtAndFeminism at Contemporary Art Museum of the University (MUAC). Broadcasting of the radio program Möebius: "From Xilitla to Gaudí". Interview about Wikipedia broadcast at Radio Morelos. Wikimedia Commons workshop for ArtAndFeminism at Contemporary Art Museum of the University (MUAC). 4th Editatona for Gender Gap Reduction Project at Wikipedia where we edit Wikidata, at Simone de Beauvoir Institute. Broadcasting of the radio program Möebius: "From Chaff to Grandmothers of the Plaza de Mayo". Esta página se editó por última vez el 21 ene 2017 a las 17:49.